All attention is perched on the Korean company Samsung and the launch of Samsung Galaxy S3 , which will occur on Thursday May 3 at a time of maximum tension in the market for smart mobile phone. And no wonder, because there are more advanced technologies that leading companies like Samsung , Nokia , LG , HTC and Apple made ​​available to customers. In any case, today we have important news for users who are looking forward to the launch of the third generation of Samsung Galaxy S . We say this because the company just to release a new quad-core processor dubbed Exynos 4 Quad, from which I had spoken at the time. In fact, from the beginning, the piece has been part of the rumors that have been released to date. Rumors aside, the Samsung company wanted to present to the public the new Exynos 4 Quad, a quad-core processor running at high speed through a 32-nanometer technology. The piece, which could come integrated into the brand new Samsung Galaxy S3, would be one of the fastest processors on the market, in addition to a small size and being the least consumed, which would not hurt given the volatile battery that boast almost all smartphones today. In any case, the quad-core processor is capable of operating up to 1.4 GHz, which would allow smartphones and tablets that include getting sick higher performance, plus a much lower power consumption when compared with what offer other terminals. In this case, we can say that Samsung has paid special attention to battery performance, and of course, the percentage of power consumed by a processor as the present one. According to information from the Korean, the new Exynos 4 Quad consumes 20% less than other processors presented to date, including the last, equipped with two cores and integrated into the Samsung S2 Galaxy, among other terminals. Thus, it appears that the Samsung S3 Galaxy win in autonomy, but would have to see how they affect the display performance or connectivity features, to name two functions that historically energy intensive. Samsung has also promised high returns to when running multimedia content, including videos and games that require higher graphical potential. All these developments will have to be tested once we have in hand the new Samsung Galaxy S3, probably equipped with this brand new processor. As I have indicated at the beginning, know all this information on Thursday May 3. Apart from this high performance, the device may occur with a large screen HD Super AMOLED up to 4.7 inches, and a twelve-megapixel camera, as long rumored. 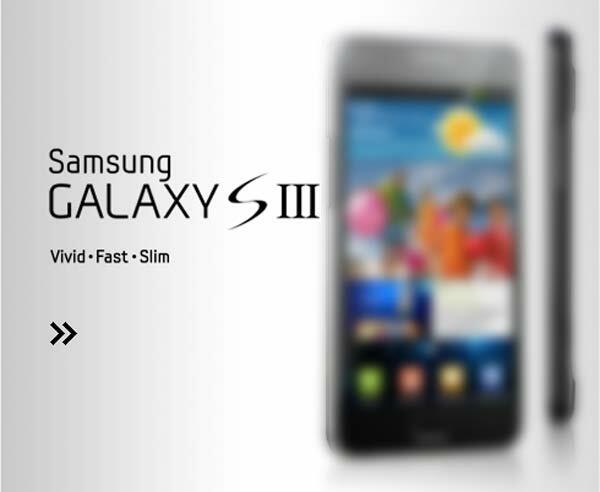 We look forward to tell the latest news coming from London to confirm the technical profile of the new Samsung Galaxy S3.